What is Build of the Week? 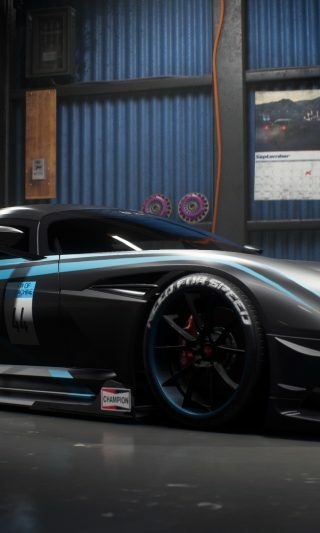 Need for Speed Payback's Build of the Week showcases a uniquely modified car that you’ll also have a chance to customize when you get in the driver’s seat. The Mitsubishi Lancer Evolution IX has been a staple car for gearheads for the last ten years, we’ve built this one with that in mind. We’ve added some choice Voltex parts to the car with a vented hood and wider rear fenders and given it a lowered stance. A carbon diffuser, side skirts and splitter make it feel ready to race. De-spoilering the car gives us a nice contrast against the bright obnoxious paint and wrap and we decided to go old school with the rim choice this time by fitting a set of custom painted Work VS-XXs with plenty of dish.